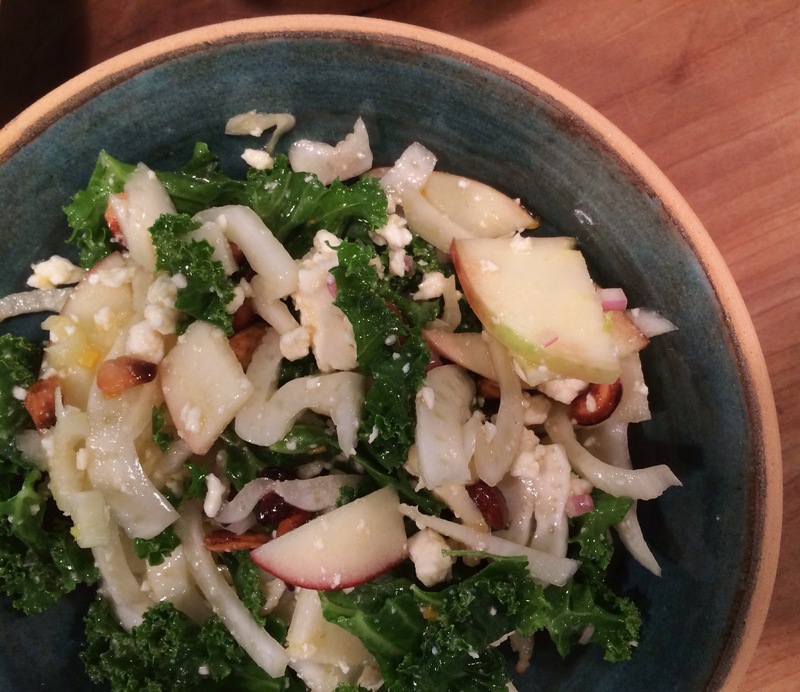 It’s apple season and that means Honey Crisps, but they’re only around for a few short weeks so don’t wait to make this salad. In a mason jar combine a quarter cup of extra virgin olive oil, the juice from half an orange, orange zest, a tablespoon of maple syrup, a tablespoon of Dijon mustard, a tablespoon of minced shallots, a splash of white wine vinegar, and kosher salt and pepper to taste. Shake vigorously. For the salad toss some chopped kale with a thinly sliced Honey Crisp and half a large fennel bulb...toasted pumpkin seeds or cashew pieces are nice for crunch if you happen to have them. Then simply toss with crumbled feta and the dressing before serving. Happy Fall!